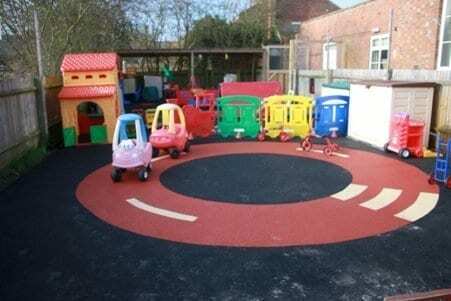 Hanslope Pre-school is based in Milton Keynes and is a charity run by a dedicated team of staff and a committee of volunteers based at the Hanslope village hall. 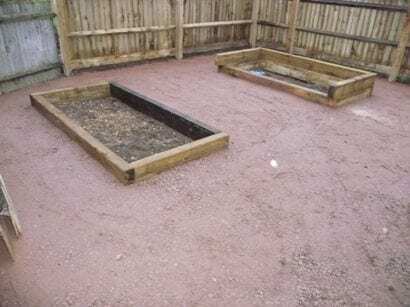 To enhance the children’s time at the Pre-school, the staff and committee undertook a huge project in 2014 to have the garden extended and renovated. 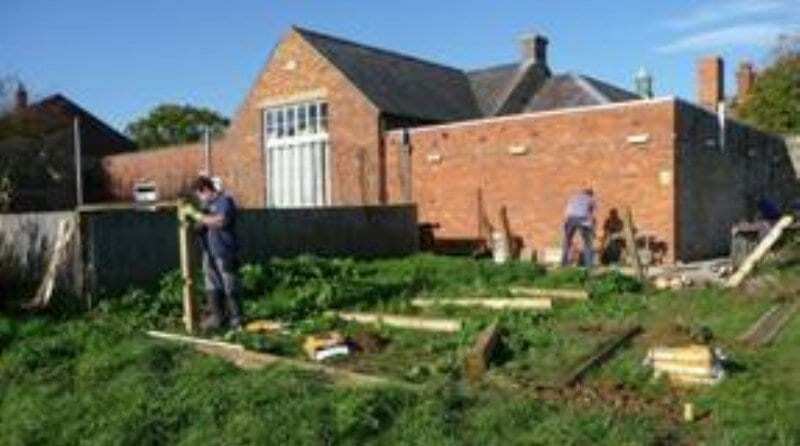 The existing garden consisted of paving slabs, fence panels and some outdoor equipment much of which was in desperate need of renewing. We were granted an extension to the garden by a local landowner and our dream was to turn this into a nature area where we would have raised beds for the children to grow and harvest their own vegetables for their snack as well as growing sensory plants such as mint and lavender, in addition to this we wanted a free digging area, nature table, bird table, worm house and habitats such as log piles for other wildlife such as beetles and woodlice. This area would need to be fenced in and have all the groundwork completed so that it could be slabbed and the beds put in. We needed to replace the outdoor kitchen and playhouse as well as sourcing the nature tables, bird table, worm house plus the gates to the garden which were old and not very secure and needed replacing. We also wanted to add blackboard, weather boards and mirrors to brighten up the fences to make every area of the garden interactive for the children. We knew that this was a huge undertaking and having received various quotes for the work, we really had our work cut out for us! We held a hugely successful Christmas fayre in 2013 and then again in 2014 and planning for the 2015 one is already underway. We held an Easter disco, table top sale, summer family fun day and various cake sales. We also applied for local grants and were very fortunate to have been awarded money by 2 of them which enabled us to achieve our target. 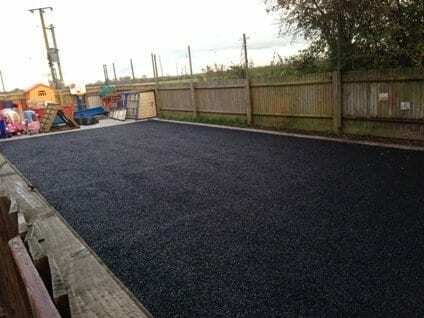 As a result of this, not only were we able to put a wet pour flooring down, we were able to put in the curriculum shapes and colours and a cycle track for the children, so not only is it safer but it is bright, fun and educational too. 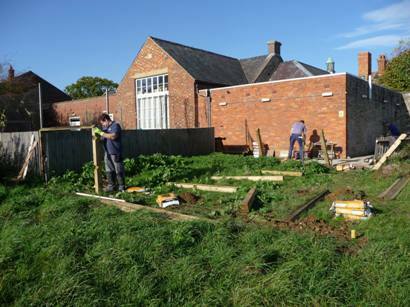 The initial work on the nature area was completed by local tradesmen; this area will continue to grow and flourish with our children. We have a worm house with a viewing window and the children are encouraged to find worms as well as adding leaves to add to it. We still have some work outstanding to complete such as the garden gates, a car port for the children’s cars and trikes and some more fence panel covers but it has come a long way. None of this would have been possible without a hardworking and dedicated committee and a huge amount of support from the local community (one of the grants that we were awarded was dependent on votes – we used Facebook to advertise this and the residents of the village supported us enormously). Our Pre-school feeds into the village school and many of our events are not huge fundraisers for us but are put on for all in the community to enjoy. We also support other charities in the village when they put on events or need support and so our story is one of not only great success but of a great community. I hope that you have enjoyed reading our story of success as much as we have enjoyed being a part of it.